You are here: Home / real estate niches / Under Served Real Estate Niches – Opportunity for you? Generalists have the most competition. As long as you remain a real estate generalist, you’ll be competing for clients with nearly every other agent in your marketing area. Your challenge will be to capture prospects’ attention, then somehow make yourself stand out as THE one who will serve them best. That’s why so many agent choose to focus on one niche (or more than one) and direct their education and marketing efforts toward that niche. That doesn’t mean they don’t take clients outside the niche, because most do. It does mean that they become the expert and the “go to” person in their niche. To become that expert, it’s necessary to learn everything you can about the niche and the people who occupy it. Perhaps you’ve done that with your geographic territory, with a property type such as waterfront or farmland, or with a specialty like senior relocation or divorce real estate. Maybe now it’s time to add another. Or, if you don’t have a niche, it’s time to choose one and get going. But… some of the most popular (or high-priced) niches also have a good deal of competition. 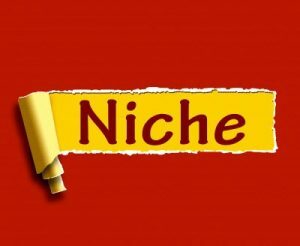 Why not choose a niche that is under served, simply because it takes a lot more effort to become an expert. Selling fixers via rehab loans, such as FHA 203K loans or Fannie Mae’s HomeStyle Renovation Mortgage. Selling to seniors with Reverse Mortgages. The field is not crowded with agents wanting to assist with these programs, simply because there is a lot to learn and digest. There are also other people you’ll have to work with in order to pull it all together. Those people can include lenders, contractors, facilitators, and attorneys. Rehab loans: Knowing the ins and outs of these loans can be an advantage to both buyers and sellers. You could sell your fixer listings to investors, but if those happen to be in short supply, you can market them to buyers who can’t afford to buy a move-in-ready home in their preferred neighborhood, but could buy and rehab. And of course, if you have buyers who would love to take a “tired” home and turn it into their own dream, a rehab loan can help them make that dream come true. A drawback is that the repairs must be done by licensed contractors, but some of those contractors are willing to put the new homeowners on the payroll to complete some of the work, such as painting. The most commonly used rehab loans are FHA 203(k), which come in two varieties. 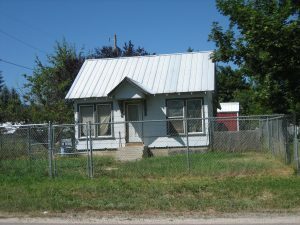 The Limited or Streamline loans for homes that don’t need structural repairs, and the Standard loans. Streamline loans are limited to $35,000 for repairs while the standard loans have no limits beyond standard FHA limits. How to start: First, learn all you can about these loans, then find a lender (or two) who knows them inside and out. Your clients won’t be well-served if the lender is floundering around, trying to figure out how these loans are done. Reverse Mortgages: At one time these were just a way for people with a good deal of equity to get rid of their mortgage payments and/or have some extra money coming in after retirement. At first they looked quite a lot like a scam. Now, however, things seem to have changed. They’re still not for people who want to build equity to pass on to their children, but for some they can be a blessing. Again, before you get involved, learn all you can. Then work only with lenders who know all the rules and who will explain the program in detail to your clients. They aren’t for everyone. 1031 Exchanges: Once known as Starker Exchanges, this program has also evolved over the years. This is a tax-deferral tool, and as such, it comes with strict requirements. One is that the property must be held for business or investment – personal residences are not eligible. Other requirements revolve around time lines, so time (speed) is of the essence. As an agent you’ll work with other professionals, such as an attorney and a facilitator, to be sure you’ve dotted every i and crossed every t. Google 1031 exchanges for a variety of articles that explain how these exchanges are done and how your investors can benefit. What’s in it for you – besides hard work? 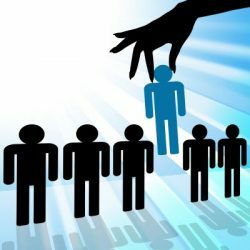 For you as a real estate agent, the benefit is lack of competition – and the fact that once you build a reputation as an expert in any of these areas, you’ll be the agent who is referred to most often. Of course, you might also get an extra measure of personal satisfaction. “Entrepreneur, you have to be known for something, not anything, but something specific, why? Not interested in those niches? There are many others to choose from. Come over to my Real Estate Prospecting Letters page and browse the selection of specialized letters. Maybe you’d like to serve first time buyers, relocating seniors, empty nesters, or couples going through divorce. Maybe you want to choose a geographic territory and be the person in the know in that area. Maybe you’d rather handle probate listings, help buyers purchase new construction, or focus on selling multifamily properties. On my prospecting letters page you’ll find letter sets for those niches and several others. And… if you have a niche in mind but can’t find the letters you need, get in touch. I can write custom letters just for you or write a new set to add to the collection. Whatever you do, I do encourage you to choose a niche (or two) so you have a focus for your marketing efforts and your information-gathering (otherwise known as self-education).